"The Father Of New France"
Samuel de Champlain (French pronunciation: ​[Samuel De Champlain]) (about August 13, 1567[Note 1][Note 2] – December 25, 1635) was a French colonist, navigator, cartographer, draftsman, soldier, explorer, geographer, ethnologist, diplomat, and chronicler. He made between 21 and 29 trips across the Atlantic Ocean, and founded New France and Quebec City, on July 3, 1608. An important figure in Canadian history, Champlain created the first accurate coastal map during his explorations, and founded various colonial settlements. Born into a family of mariners, Champlain began exploring North America in 1603, under the guidance of his uncle, François Gravé Du Pont. From 1604 to 1607, he participated in the exploration and settlement of the first permanent European settlement north of Florida, Port Royal, Acadia (1605), as well as the first European settlement that would become Saint John, New Brunswick (1604). In 1608, he established the French settlement that is now Quebec City, Canada. [Note 3] Champlain was the first European to explore and describe the Great Lakes, and published maps of his journeys and accounts of what he learned from the natives and the French living among the Natives. He formed relationships with local Montagnais and Innu, and, later, with others farther west — tribes of the (Ottawa River, Lake Nipissing, and Georgian Bay), and with Algonquin and Wendat; he also agreed to provide assistance in the Beaver Wars against the Iroquois. In 1620, Louis XIII of France ordered Champlain to cease exploration, return to Quebec, and devote himself to the administration of the country. [Note 4] In every way but formal title, Samuel de Champlain served as Governor of New France, a title that may have been formally unavailable to him owing to his non-noble status. [Note 5] He established trading companies that sent goods, primarily fur, to France, and oversaw the growth of New France in the St. Lawrence River valley until his death, in 1635. Champlain is memorialized as the "Father of New France" and "Father of Acadia", with many places, streets, and structures in northeastern North America bearing his name, most notably Lake Champlain. by Balthasar Moncornet (d. 1668). 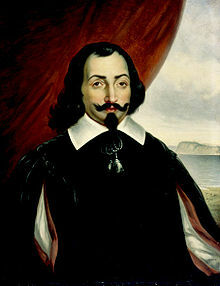 — No authentic portrait of Champlain is known to exist. Born into a family of mariners (both his father and uncle-in-law were sailors, or navigators), Samuel Champlain learned to navigate, draw, make nautical charts, and write practical reports. 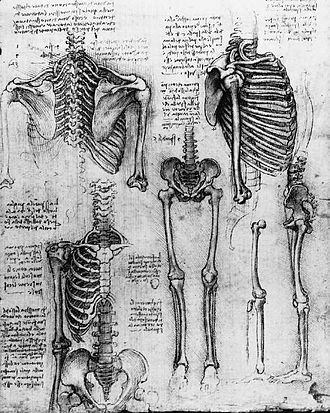 His education did not include Ancient Greek or Latin, so he did not read or learn from any ancient literature. 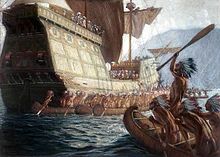 As each French fleet had to assure its own defense at sea, Champlain sought to learn to fight with the firearms of his time: he acquired this practical knowledge when serving with the army of King Henry IV during the later stages of France's religious wars in Brittany from 1594 or 1595 to 1598, beginning as a quartermaster responsible for the feeding and care of horses. During this time he claimed to go on a "certain secret voyage" for the king, and saw combat (including maybe the Siege of Fort Crozon, at the end of 1594). By 1597 he was a "capitaine d'une compagnie" serving in a garrison near Quimper. On Champlain's return to Cadiz in August 1600, his uncle, who had fallen ill, asked him to look after his business affairs. This Champlain did, and when his uncle died in June 1601, Champlain inherited his substantial estate. 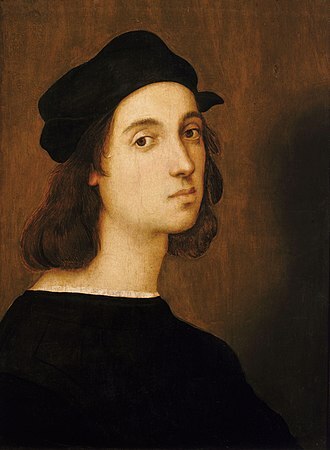 It included an estate near La Rochelle, commercial properties in Spain, and a 150-ton merchant ship. This inheritance, combined with the king's annual pension, gave the young explorer a great deal of independence, as he was not dependent on the financial backing of merchants and other investors. From 1601 to 1603 Champlain served as a geographer in the court of King Henry IV. As part of his duties he traveled to French ports and learned much about North America from the fishermen that seasonally traveled to coastal areas from Nantucket to Newfoundland to capitalize on the rich fishing grounds there. He also made a study of previous French failures at colonization in the area, including that of Pierre de Chauvin at Tadoussac. When Chauvin forfeited his monopoly on fur trade in North America in 1602, responsibility for renewing the trade was given to Aymar de Chaste. Champlain approached de Chaste about a position on the first voyage, which he received with the king's assent. Champlain's first trip to North America was as an observer on a fur-trading expedition led by François Gravé Du Pont. Du Pont was a navigator and merchant who had been a ship's captain on Chauvin's expedition, and with whom Champlain established a firm lifelong friendship. He educated Champlain about navigation in North America, including the Saint Lawrence River, and in dealing with the natives there (and in Acadia after). The Bonne-Renommée (the Good Fame) arrived at Tadoussac on March 15, 1603. 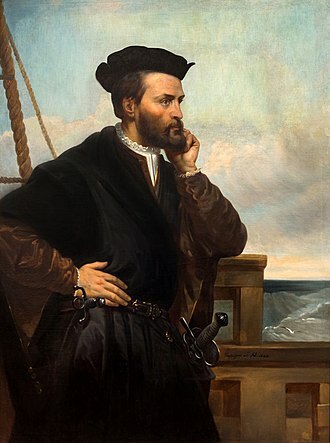 Champlain was anxious to see for himself all of the places that Jacques Cartier had seen and described about sixty years earlier, and wanted to go even further than Cartier, if possible. Champlain created a map of the Saint Lawrence on this trip and, after his return to France on September 20, published an account as Des Sauvages: ou voyage de Samuel Champlain, de Brouages, faite en la France nouvelle l'an 1603 ("Concerning the Savages: or travels of Samuel Champlain of Brouages, made in New France in the year 1603"). [Note 11] Included in his account were meetings with Begourat, a chief of the Montagnais at Tadoussac, in which positive relationships were established between the French and the many Montagnais gathered there, with some Algonquin friends. Promising to King Henry to report on further discoveries, Champlain joined a second expedition to New France in the spring of 1604. This trip, once again an exploratory journey without women and children, lasted several years, and focused on areas south of the St. Lawrence River, in what later became known as Acadia. It was led by Pierre Dugua de Mons, a noble and Protestant merchant who had been given a fur trading monopoly in New France by the king. Dugua asked Champlain to find a site for winter settlement. After exploring possible sites in the Bay of Fundy, Champlain selected Saint Croix Island in the St. Croix River as the site of the expedition's first winter settlement. After enduring a harsh winter on the island the settlement was relocated across the bay where they established Port Royal. Until 1607, Champlain used that site as his base, while he explored the Atlantic coast. Dugua was forced to leave the settlement for France in September 1605, because he learned that his monopoly was at risk. His monopoly was rescinded by the king in July 1607 under pressure from other merchants and proponents of free trade, leading to the abandonment of the settlement. In 1605 and 1606, Champlain explored the North American coast as far south as Cape Cod, searching for sites for a permanent settlement. Minor skirmishes with the resident Nausets dissuaded him from the idea of establishing one near present-day Chatham, Massachusetts. He named the area Mallebar ("bad bar"). On July 3, 1608, Champlain landed at the "point of Quebec" and set about fortifying the area by the erection of three main wooden buildings, each two stories tall, that he collectively called the "Habitation", with a wooden stockade and a moat 12 feet (4 m) wide surrounding them. This was the very beginning of Quebec City. Gardening, exploring, and fortifying this place became great passions of Champlain for the rest of his life. One route Champlain may have chosen to improve his access to the court of the regent was his decision to enter into marriage with the twelve-year-old Hélène Boullé. She was the daughter of Nicolas Boullé, a man charged with carrying out royal decisions at court. The marriage contract was signed on December 27, 1610 in presence of Dugua, who had dealt with the father, and the couple was married three days later. The terms of the contract called for the marriage to be consummated two years later. Champlain's marriage was initially quite troubled, as Hélène rallied against joining him in August 1613. Their relationship, while it apparently lacked any physical connection, recovered and was apparently good for many years. Hélène lived in Quebec for several years, but returned to Paris and eventually decided to enter a convent. The couple had no children, although Champlain did adopt three Montagnais girls named Faith, Hope, and Charity in the winter of 1627–28. During the summer of 1609, Champlain attempted to form better relations with the local native tribes. He made alliances with the Wendat (derogatorily called Huron by the French) and with the Algonquin, the Montagnais and the Etchemin, who lived in the area of the St. Lawrence River. These tribes demanded that Champlain help them in their war against the Iroquois, who lived farther south. Champlain set off with nine French soldiers and 300 natives to explore the Rivière des Iroquois (now known as the Richelieu River), and became the first European to map Lake Champlain. Having had no encounters with the Haudenosaunee at this point many of the men headed back, leaving Champlain with only 2 Frenchmen and 60 natives. 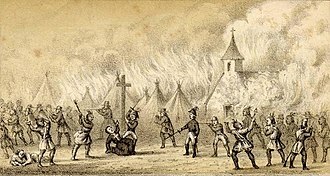 The Battle of Sorel occurred on June 19, 1610, with Samuel de Champlain supported by the Kingdom of France and his allies, the Wendat people, Algonquin people and Innu people against the Mohawk people in New France at present-day Sorel-Tracy, Quebec. Champlain's forces armed with the arquebus engaged and slaughtered or captured nearly all of the Mohawks. The battle ended major hostilities with the Mohawks for twenty years. On March 29, 1613, arriving back in New France, he first ensured that his new royal commission be proclaimed. Champlain set out on May 27 to continue his exploration of the Huron country and in hopes of finding the "northern sea" he had heard about (probably Hudson Bay). He traveled the Ottawa River, later giving the first description of this area. [Note 14] Along the way, he apparently dropped or left behind a cache of silver cups, copper kettles, and a brass astrolabe dated 1603 (Champlain's Astrolabe), which was later found by a farm boy named Edward Lee near Cobden, Ontario. It was in June that he met with Tessouat, the Algonquin chief of Allumettes Island, and offered to build the tribe a fort if they were to move from the area they occupied, with its poor soil, to the locality of the Lachine Rapids. By August 26, Champlain was back in Saint-Malo. There, he wrote an account of his life from 1604 to 1612 and his journey up the Ottawa river, his Voyages and published another map of New France. In 1614, he formed the "Compagnie des Marchands de Rouen et de Saint-Malo" and "Compagnie de Champlain", which bound the Rouen and Saint-Malo merchants for eleven years. He returned to New France in the spring of 1615 with four Recollects in order to further religious life in the new colony. 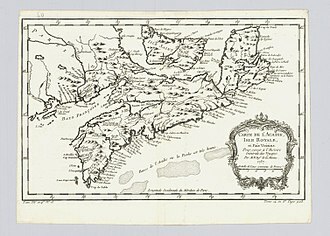 The Roman Catholic Church was eventually given en seigneurie large and valuable tracts of land, estimated at nearly 30% of all the lands granted by the French Crown in New France. Champlain continued to work to improve relations with the natives, promising to help them in their struggles against the Iroquois. With his native guides, he explored further up the Ottawa River and reached Lake Nipissing. He then followed the French River until he reached the freshwater sea he called Lac Attigouautau (now Lake Huron). In 1615, Champlain was escorted through the area that is now Peterborough, Ontario by a group of Wendat. He used the ancient portage between Chemong Lake and Little Lake (now Chemong Road) and stayed for a short period of time near what is now Bridgenorth. 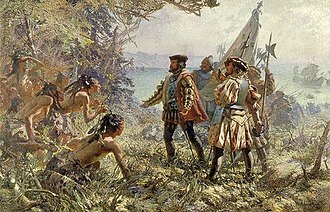 On September 1, 1615, at Cahiagué (a Wendat community on what is now called Lake Simcoe), he and the northern tribes started a military expedition against the Iroquois. The party passed Lake Ontario at its eastern tip where they hid their canoes and continued their journey by land. They followed the Oneida River until they arrived at the main Onondaga fort on October 10. The exact location of this place is still a matter of debate. Although the traditional location, Nichols Pond, is regularly disproved by professional and amateur archaeologists, many still claim that Nichols Pond is the location of the battle. 10 miles (16 km) south of Canastota, New York. 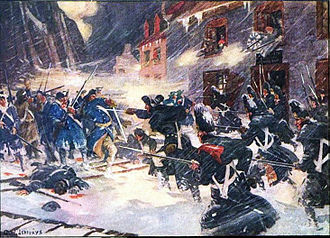 Champlain attacked the stockaded Oneida village. He was accompanied by 10 Frenchmen and 300 Wendat. Pressured by the Huron Wendat to attack prematurely, the assault failed. Champlain was wounded twice in the leg by arrows, one in his knee. The conflict ended on October 16 when the French Wendat were forced to flee. Although he did not want to, the Wendat insisted that Champlain spend the winter with them. 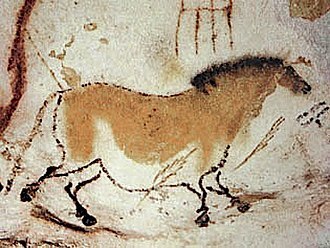 During his stay, he set off with them in their great deer hunt, during which he became lost and was forced to wander for three days living off game and sleeping under trees until he met up with a band of First Nations people by chance. He spent the rest of the winter learning "their country, their manners, customs, modes of life". On May 22, 1616, he left the Wendat country and returned to Quebec before heading back to France on July 2. Map of New France (Champlain, 1612). A more precise map was drawn by Champlain in 1632. 19th century artist's conception of Champlain by E. Ronjat. Champlain returned to New France in 1620 and was to spend the rest of his life focusing on administration of the territory rather than exploration. Champlain spent the winter building Fort Saint-Louis on top of Cape Diamond. 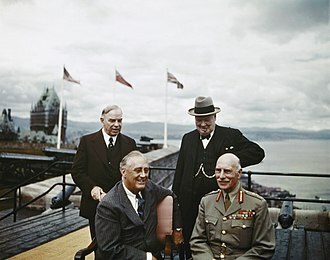 By mid-May, he learned that the fur trading monopoly had been handed over to another company led by the Caen brothers. After some tense negotiations, it was decided to merge the two companies under the direction of the Caens. Champlain continued to work on relations with the natives and managed to impose on them a chief of his choice. He also negotiated a peace treaty with the Iroquois. Champlain returned to Quebec on May 22, 1633, after an absence of four years. Richelieu gave him a commission as Lieutenant General of New France, along with other titles and responsibilities, but not that of Governor. Despite this lack of formal status, many colonists, French merchants, and Indians treated him as if he had the title; writings survive in which he is referred to as "our governor". On August 18, 1634, he sent a report to Richelieu stating that he had rebuilt on the ruins of Quebec, enlarged its fortifications, and established two more habitations. One was 15 leagues upstream, and the other was at Trois-Rivières. He also began an offensive against the Iroquois, reporting that he wanted them either wiped out or "brought to reason". Champlain had a severe stroke in October 1635, and died on December 25, leaving no immediate heirs. Jesuit records state he died in the care of his friend and confessor Charles Lallemant. Although his will (drafted in November 17, 1635) gave much of his French property to his wife Hélène, he made significant bequests to the Catholic missions and to individuals in the colony of Quebec. However, Marie Camaret, a cousin on his mother's side, challenged the will in Paris and had it overturned. It is unclear exactly what happened to his estate. Samuel de Champlain was temporarily buried in the church while a standalone chapel was built to hold his remains in the upper part of the city. Unfortunately, this small building, along with many others, was destroyed by a large fire in 1640. 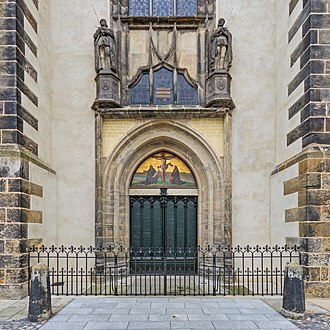 Though immediately rebuilt, no traces of it exist anymore: his exact burial site is still unknown, despite much research since about 1850, including several archaeological digs in the city. There is general agreement that the previous Champlain chapel site, and the remains of Champlain, should be somewhere near the Notre-Dame de Québec Cathedral. The search for Champlain's remains supplies a key plot-line in the crime writer Louise Penny's 2010 novel, Bury Your Dead. Statue of Samuel de Champlain at sunrise (looking to the north-west; with a similar expressive face as traditionally Jacques Cartier's), by Paul-Romain Chevré (Paris, 1896–1898), as newly repaired for 2008, at Quebec City since 1898, near Château Frontenac grand hotel, on the Terrasse Dufferin. Many sites and landmarks have been named to honour Champlain, who was a prominent figure in many parts of Acadia, Ontario, Quebec, New York, and Vermont. Memorialized as the "Father of New France" and "Father of Acadia", his historic significance endures in modern times. Lake Champlain, which straddles the border between northern New York and Vermont, extending slightly across the border into Canada, was named by him, in 1609, when he led an expedition along the Richelieu River, exploring a long, narrow lake situated between the Green Mountains of present-day Vermont and the Adirondack Mountains of present-day New York. The first European to map and describe it, Champlain claimed the lake as his namesake. Lake Champlain, Champlain Valley, the Champlain Trail Lakes. Champlain Sea: a past inlet of the Atlantic Ocean in North America, over the St. Lawrence, the Saguenay, and the Richelieu rivers, to over Lake Champlain, which inlet disappeared many thousands years before Champlain was born. Champlain Mountain, Acadia National Park – which he first observed in 1604. A town and village in New York, as well as a township in Ontario and a municipality in Quebec. The provincial electoral district of Champlain, Quebec, and several defunct electoral districts elsewhere in Canada. Samuel de Champlain Provincial Park, a provincial park in northern Ontario near the town of Mattawa. Champlain Bridge, which connects the island of Montreal to Brossard, Quebec across the St. Lawrence. Champlain Bridge, which connects the cities of Ottawa, Ontario and Gatineau, Quebec. Champlain College, one of six colleges at Trent University in Peterborough, Ontario, is named in his honour. Fort Champlain, a dormitory at the Royal Military College of Canada in Kingston, Ontario; named in his honour in 1965, it houses the 10th cadet squadron. A French school in Saint John, New Brunswick; École Champlain, an elementary school in Moncton, New Brunswick; Champlain College, in Burlington, Vermont; and Champlain Regional College, a CEGEP with three campuses in Quebec. 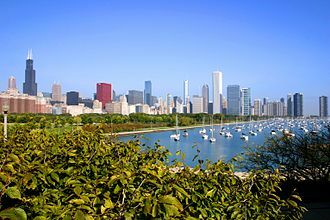 Streets named Champlain in numerous cities, including Quebec, Shawinigan, the city of Dieppe in the province of New Brunswick, in Plattsburgh, and no less than eleven communities in northwestern Vermont. A memorial statue on Cumberland Avenue in Plattsburgh, New York on the shores of Lake Champlain in a park named for Champlain. A memorial statue in Saint John, New Brunswick, Canada in Queen Square that commemorates his discovery of the Saint John River. A memorial statue in Isle La Motte, Vermont, on the shore of Lake Champlain. A statue in Ticonderoga, New York, unveiled in 2009 to commemorate the 400th anniversary of Champlain's exploration of Lake Champlain. A statue in Orillia, Ontario at Couchiching Beach Park on Lake Couchiching. HMCS Champlain (1919), a S class destroyer that served in the Royal Canadian Navy from 1928 to 1936. HMCS Champlain, a Canadian Forces Naval Reserve division based in Chicoutimi, Quebec since activation in 1985. Champlain Place, a shopping centre located in Dieppe, New Brunswick, Canada. The Champlain Society, a Canadian historical and text publication society, chartered in 1927. A memorial statue in Ottawa at Nepean Point, by Hamilton MacCarthy. The statue depicts Champlain holding an astrolabe (upside-down, as it happens). It did previously include an "Indian Scout" kneeling at its base. In the 1990s, after lobbying by Indigenous people, it was removed from the statue's base, renamed and placed as "Anishinaabe Scout" in Major's Hill Park. ^ The baptism act does not contain information about the age of Samuel, neither his birth date or his place of birth. ^ Thanks to Pierre Dugua de Mons, who fully financed—at a loss—the first years of both French settlements in North America (first Acadia, then Quebec). ^ According to Trudel (1979), Louis was 18 years old, an inexperienced minor, (when age of majority was 25), and Champlain was lieutenant to the Prince de Condé, the viceroy of New France since 1612, who, as Trudel writes, "was liberated [from jail, where he been for 3 years] in October 1619, and yielded his rights as viceroy to Henri II de Montmorency, admiral of France. The latter confirmed Champlain in his office [...]. On 7 May 1620, Louis XIII wrote to Champlain to enjoin him to maintain the country 'in obedience to me, making the people who are there live as closely in conformity with the laws of my kingdom as you can.' From that moment Champlain was to devote himself exclusively to the administration of the country; he was to undertake no further great voyages of discovery; his career as an explorer had ended." ^ Some say that the King of France made him his "royal geographer", but it is unproven and may only come from Marc Lescarbot books: Champlain never used that title. The honorific "de" was only added to his name from 1610, when he was already well-known, right after his patron, King Henry IV, was murdered. This usage by a non-noble was tolerated so that he would continue to gain access to the court during the long regency of King Louis XIII (who was only eight years old at the death of his father). Champlain received the official title of "lieutenant" (adjunct representative) of whichever noble was designated as Viceroy of New France, the first being Pierre Dugua, Sieur de Mons. From 1629 Champlain was named "commandant" under the authority of the King Minister, Richelieu. It was Champlain's successor, Charles Jacques Huault de Montmagny, who was the first to be formally named as the governor of New France, when he moved to Quebec City in 1636 and became the first noble to live there in that century. ^ According to many modern historians, including Alain Laberge, the 2008 Chair of the History Department at Quebec City's Laval University, a specialist in the history of New France, Champlain could have been born a Protestant. 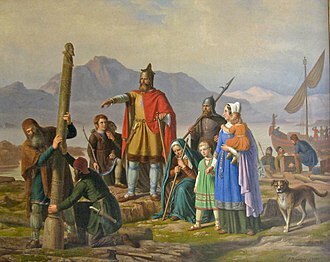 A guest on the February 6, 2008 CBC radio program, Sounds Like Canada, Professor Laberge said that the fact of Champlain's Protestantism would have been downplayed or omitted from educational materials in Quebec by the Roman Catholic Church, who controlled Quebec's education system from 1627 until 1962. ^ However, Champlain was born in or near a time when the city was taken by Protestants, but Brouage became a royal fortress and its governor, from 1627 until his death in 1642, was Cardinal Richelieu, a strong anti-Protestant. ^ Three different handwritten copies of this report still exist. One of them is at the John Carter Brown Library at Brown University. ^ For a detailed treatment of claims against Champlain's authorship, see the chapter by François-Marc Gagnon in Litalien (2004), pp. 84ff. Fischer (2008), pp. 586ff, also addresses these claims, and accepts Champlain's authorship. 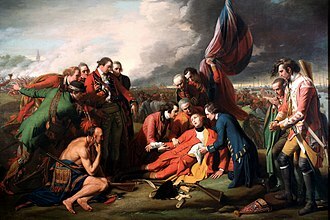 ^ In 1701, The Great Peace Treaty was signed in Montreal, involving the French and every Indigenous nation coming or living on the shores of the Saint Lawrence River except maybe in wintertime. 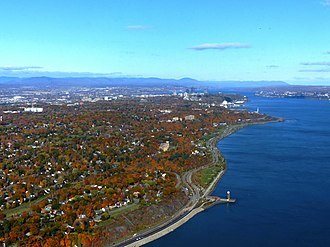 ^ In 1953, a rock was found at a location now known as the Champlain lookout, which bore the inscription "Champlain juin 2, 1613". What about this finding? ^ "Samuel de Champlain facts, information, pictures | Encyclopedia.com articles about Samuel de Champlain". www.encyclopedia.com. Retrieved 2018-01-30. ^ Liebel (1978), pp. 229–237. ^ a b Fischer (2008), p. 65 Note: Fischer cites numerous other authorities in repeating this. ^ Brebner, John Bartlett (1966). The Explorers of North America, 1492–1806. Cleveland, Ohio: The World Publishing Company. p. 135. ^ Williams, Doug (September 8, 2015). "A small man with a big gun". Peterborough Examiner. Retrieved 2018-02-20. "Acadia National Park". Oh Ranger. Retrieved July 21, 2015. Bishop, Morris (1948). Samuel de Champlain: The Life of Fortitude. New York: Knopf. Champlain, Samuel (1613). Les voyages du Sieur de Champlain, Saintongeois, capitaine ordinaire pour le Roy en la Marine (in French). J. Berjon. Dalton, Roy C. (1968). The Jesuit Estates Question, 1760–88. University of Toronto Press. p. 60.
d'Avignon (Davignon), Mathieu (2008). Champlain et les fondateurs oubliés, les figures du père et le mythe de la fondation (in French). Quebec City: Les Presses de l'Université Laval (PUL). p. 558. ISBN 978-2-7637-8644-5. Note: Mathieu d'Avignon (Ph.D in History, Laval University, 2006) is an affiliate researcher into the University of Quebec at Chicoutimi Research Group on History. He is preparing a special new full edition, in modern French, of Champlain's Voyages in New France. "Champlain (de), Samuel". Fichier Origine (in French). Retrieved 2015-07-21. "La chapelle et le tombeau de Champlain : état de la question" (in French). Retrieved July 21, 2015. Fischer, David Hackett (2008). Champlain's Dream. Simon and Schuster. ISBN 978-1-4165-9332-4. Gicker, William J., ed. (2006). "Samuel de Champlain 39¢ (USA); Samuel de Champlain 51¢ (Canada)". USA Philatelic. 11 (3): 7. This souvenir sheet celebrates the 400th anniversary of the explorations of Samuel de Champlain in 1606. Guizot, François Pierre Guillaume. "Chapter 53". 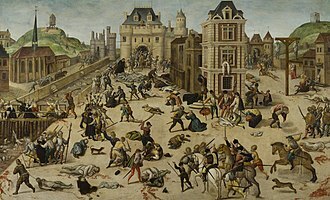 A Popular History of France from the Earliest Times. Vol. 6. Black, Robert (trans). Boston: Dana Estes & Charles E. Lauriat (Imp.). Heidenreich, Conrad E. (August 8, 2008). Who was Champlain? His Family and Early Life. 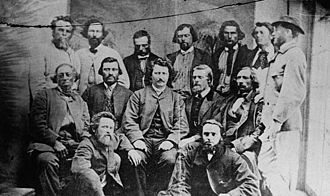 Métis sur mer. Archived from the original on May 12, 2013. This lecture is based on parts of a book by Conrad E. Heidenreich and K. Janet Ritch soon to by published by The Champlain Society, provisionally entitled: The Works of Samuel de Champlain: Des Sauvages and other Documents Related to the Period before 1604. Le Blant, Robert (1964). "Le triste veuvage d'Hélène Boullé" [The sad widow of Hélène Boullé] (PDF). Revue d'histoire de l'Amérique française (in French). 18 (3). doi:10.7202/302392ar. Liebel, Jean (September 1978). "On a vieilli Champlain" [They made Champlain older]. 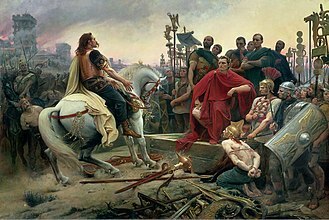 la Revue d'histoire de l'Amérique française (in French). 32 (2): 229–237. doi:10.7202/303691ar. Litalien, Raymonde; Vaugeois, Denis, eds. (2004). Champlain: the Birth of French America. Roth, Käthe (trans). McGill-Queen's University Press. ISBN 0-7735-2850-4. "Malle Barre (Modern Nauset Harbor, Eastham, MA)". Archeology Program. National Park Service. Retrieved July 21, 2015. Penny, Louise (2010). 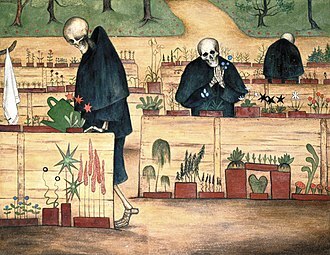 Bury Your Dead. New York: Minotaur. ISBN 978-0-3123-7704-5. Rainguet, Pierre-Damien (1851). Biographie Saintongeaise ou Dictionnaire Historique de Tous les Personnages qui se sont Illustrés dans les Anciennes Provinces de Saintonge et d'Aunis jusqu'à Nos Jours (in French). Saintes, France: M. Niox. OCLC 466560584. Ritch, Janet. "Discovery of the Baptismal Certificate of Samuel de Champlain". The Champlain Society. Archived from the original on 2013-12-05. Retrieved 2013-10-03. 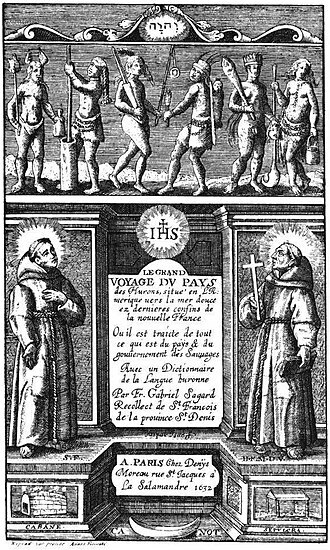 "Samuel de Champlain's Voyages". Travel Vermont. Retrieved July 21, 2015. "Time Periods – Life and Death of Champlain". Champlain : Travels in the Canadian Francophonie. Archived from the original on 2015-07-22. Retrieved July 21, 2015. Trudel, Marcel (1979) . "Samuel de Champlain". In Brown, George Williams. Dictionary of Canadian Biography. I (1000–1700) (online ed.). University of Toronto Press. Vaugeois, Denis (June 2, 2008). Champlain et Dupont Gravé en contexte. 133e congrès du comtié des travaux historiques et scientifiques (CTHS) (in French). Québec City. Archived from the original on May 13, 2013. Weber, E. L. (Sculptor). "Samuel de Champlain, (sculpture)". Art Inventories Catalog. Smithsonian American Art Museum. Retrieved 2015-07-21. Weiskotten, Daniel H. (July 1, 1998). "The Real Battle of Nichols Pond". Roots Web, Ancestry.com. Retrieved 2013-07-12. Fischer, David Hackett (2008). Champlain's Dream. USA: Simon & Schuster. ISBN 978-1-4165-9332-4. Laverdière, Abbé Charles-Honoré Cauchon (1870). Œuvres de Champlain (in French). Quebec City: Desbarats. Wikimedia Commons has media related to Samuel de Champlain. Wikisource has the text of a 1911 Encyclopædia Britannica article about Samuel de Champlain. World Digital Library presentation of Descripsion des costs, pts., rades, illes de la Nouuele France faict selon son vray méridienor Description of the Coasts, Points, Harbours and Islands of New France. Library of Congress. Primary source portolan style chart on vellum with summary description, image with enhanced view and zoom features, text to speech capability. French. Links to related content. Content available as TIF. One of the major cartographic resources, this map offers the first thorough delineation of the New England and Canadian coasts from Cape Sable to Cape Cod. Aunis is a historical province of France, situated in the north-west of the department of Charente-Maritime. Its historic capital is La Rochelle, which took over from Castrum Allionis the historic capital which gives its name to the province and it was a fief of the Duchy of Aquitaine. It extended to Marais Poitevin in the north, Basse Saintonge in the east, Aunis had an influence approximately 20–25 km into the Isle of Ré. It was thus that Aunis legally became a separate province, Aunis was the smallest province in France, in terms of area. Nowadays it is a part of the Charente-Maritime département together with Saintonge, people from Aunis were called Aunisien or Aunisienne. Aunis is mostly a rolling plain, whose navigable rivers have always been important modes of communication, and from which came economic development. The region is coastal, with varied seafronts and offshore islands, nowadays tourism is of great importance. Aunis has two borders, those of the Sèvre Niortaise in the north, and the Charente River in the south. To the west is the Atlantic Ocean and two islands, the Île de Ré and the Île dAix, to the east it is bordered by the valley of the Mignon River, by the hills of Saintonge around Saint-Félix, and by the valleys of the Trézence and Boutonne. Aunis is a plain of the Jurassic period, characterised by gently rolling hills, where no valley is completely enclosed. The islands of Ré and Aix were made at the same time, the chalk table completes the triangular promontory which juts into the Atlantic, forming the northern extremity of the Aquitaine Basin. Large freshwater and seawater marshes have formed in places that have been drained, the seawater marshes correspond to ancient marine gulfs, made from marine or fluvial sediments. Since the Middle Ages they have been drained by man. In the north, the Marais Poitevin dries up, at the centre there are the valleys of the small river Curé and its tributary the Virson. In the south is the marshland of Little Flanders, drained since the 17th century, together these constitute an important reservoir of fresh water, essential for the agricultural and snail-farming activities of the north of the department. Lake Nipissing is a lake in the Canadian province of Ontario. It has an area of 873.3 km2, a mean elevation of 196 m above sea level. Excluding the Great Lakes, Lake Nipissing is the third-largest lake in Ontario and it is relatively shallow for a large lake, with an average depth of only 4.5 m. The shallowness of the lake makes for many sandbars along the lakes irregular shoreline, the lake has many islands most of which are protected under the Protection of Significant Wetlands scheme, controlled by the Ministry of Natural Resources and Forestry. 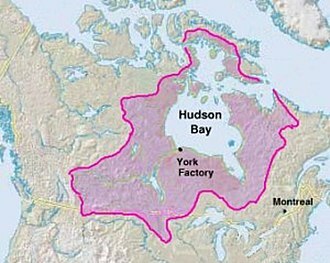 The largest population centre on the shoreline is the city of North Bay. North Bay sits along the northeastern shoreline. The larger towns toward the end of the lake are Sturgeon Falls, Garden Village, Cache Bay. Lake Nipissing drains into Georgian Bay, which is a part of Lake Huron, Lake Nipissing lies about 25 km northwest of Algonquin Provincial Park. The French fur trader Étienne Brûlé was the first European to visit the lake in 1610, the first permanent European settlement on the lake dates from around 1874 with a trading post of the Hudsons Bay Company on the northwest corner in what is now Sturgeon Falls. In 1882 the North-West Mounted Police established their presence on the north east shore, the lake contains over 40 different species of fish. Numerous sport fishing lodges dot the shoreline and can be found on several of Nipissings many islands. Most anglers target walleye, smallmouth bass and northern pike, for various reasons, largely social, numerous stocking associations are engaged in attempts to manage the lakes walleye population. The lakes name means big water in the Algonquin language, the name Nipissing was given to many places in the area, notably the Township of Nipissing, Nipissing District, and Nipissing University. In the days of fur trade, coureur des bois and travelled through the lake by canoe via the Mattawa. When the fur trade started to decline in the 1880s, logging became the economic activity. After World War I, the economic activity became tourism and recreation. 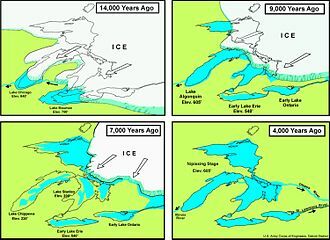 Unlike most lakes in Ontario, Lake Nipissing contains two volcanic pipes, which are the Manitou Islands and Callander Bay, the volcanic pipes formed by the violent, supersonic eruption of deep-origin volcanoes. Not to be confused with Port-Royal Port-Royal National Historic Site is a National Historic Site located on the north bank of the Annapolis Basin in the community of Port Royal, Nova Scotia. The site is the location of the Habitation at Port-Royal, the Habitation at Port-Royal was established by France in 1605 and was that nations first successful settlement in North America. Port-Royal served as the capital of Acadia until its destruction by British military forces in 1613, France relocated the settlement and capital 8 km upstream and to the south bank of the Annapolis River, the site of the present-day town of Annapolis Royal. This interest had been increasing since the publication of Quietly My Captain Waits, the government agreed, after much persuasion, to have the replica built on the original site. Construction took place from 1939-1941 and was based on a set of plans for the original Habitation that had been recently discovered in France. This was the first National Historic Site to have a structure built. Today, the replica of the Habitation is considered a milestone in the heritage movement. Operated by Parks Canada, it is open to the public as a unit of the park system, staffed by historical interpreters in period costumes. Costumed interpreters provide demonstrations of such historic early 17th century activities as farming, cooking, fur trading, Port-Royal was founded after the French nobleman Pierre Du Gua de Monts who spent a disastrous winter in Île-Saint-Croix. He was accompanied by Samuel de Champlain, Louis Hébert and Jean de Biencourt de Poutrincourt et de Saint-Just. Champlain would note in his journals, that the bay was of size, he believed it an adequate anchorage for several hundred ships of the French Royal Fleet. As such, he would name the basin Port-Royal, the Royal Port, this was, for many years, Poutrincourt asked King Henri IV to become the owner of the Seigneurie which encompassed the settlement. Nestled against the North Mountain range, they set about constructing a log stockade fortification called a habitation, with assistance from members of the Mikmaq Nation and a local chief named Membertou, coupled with the more temperate climate of the fertile Annapolis Valley, the settlement prospered. The entrance into the replica of the Habitation at Port-Royal at the Port-Royal National Historic Site. People playing on the Lake Nipissing "whale"
The Spanish fort El Léon at Crozon in a field sketch by English officer John Norreys in 1594.